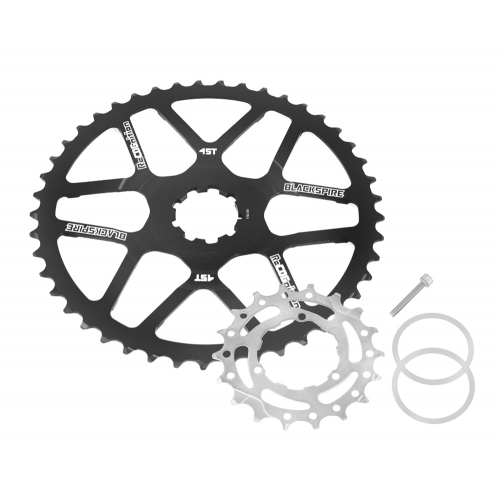 Great addition to your 1x drive train, with just the swap of one cog to your existing 11 speed cogset. 45T for XT M8000 & XTR M9020 now available. Increases range to your drive train without breaking the bank. Pair this with a BLACKSPIRE Snaggletooth WP ring up front and your ready to ride. 1. Remove the lockring and existing cassette from your rear wheel. 2. 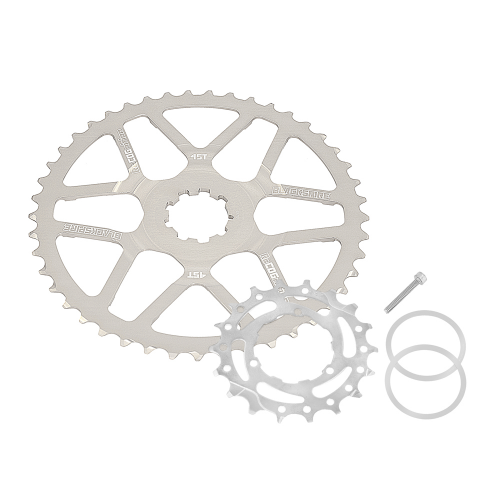 Remove the stock 17 and 19t and replace by 18t sprocket from your cassette. 3. Install the ReCOGnition 42T sprocket. 4. Install all remaining cassette sprockets and spacers. Wordt geleverd met een spacer en langere B’tension schroef.